Viva Italia! What an amazing evening! Our Viva Italia Dinner Auction Fundraiser, held at Harness Racing Museum in Goshen on Saturday, October 15th was a great success. Sponsored by Delancey’s Bar and Restaurant, guests were treated to delectable Italian cuisine, exciting auctions and great raffle prizes. The event raised over $20,000 to help fund programs that benefit NICU families in need at Maria Fareri Children’s Hospital in Valhalla and other local NICUs in the New York area, including the new Orange Regional Medical Center in Middletown. During the evening, Hailey’s Hope Foundation recognized Orange County Executive, Edward A. Diana’s, dedication to serving the needs of the community. 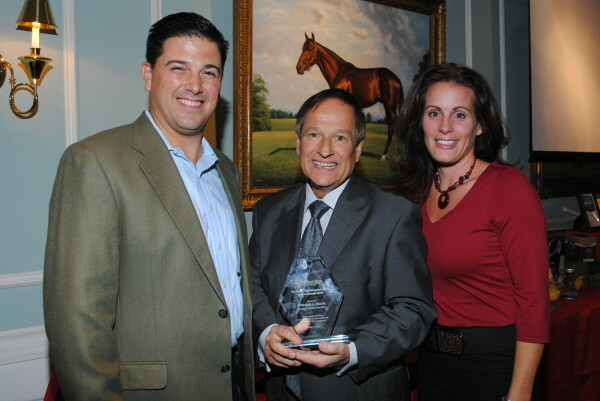 Mr. Diana was presented with the 2011 Hailey Zion Memorial Award for Community Spirit. The McElroy Family shared their NICU story and described the many challenges they faced as their baby girl, Kenley, fought to survive her 5 month NICU stay. We are extremely grateful for the generosity and support we received from our sponsor and local businesses that donated items for our auctions and placed advertisements in our Reception Journal.